We will be Celebrating the Birth of Our Nation in patriotic style again this year in the Monument Independence Day Parade. If you can, please join us at 9am, July 4th on the Old Denver Highway as we line up our parade float with a host of other Colorado Patriots. There will be some space available on the trailer for those who aren't able to walk. We have loads of candy and water to hand out along the parade route and T-Shirts and BBQ after for everyone who participates. Please RSVP to help us plan appropriately and provide you with important details as they become available. And don't forget your sunscreen! Again, Thank You! I am grateful for our win, your support, and hope to see you on Independence Day. Please go to http://caucus.cologop.org and preregister to receive your Caucus location information, and cut down on time you spend in line! The El Paso County Assembly will be held on March 24th at UCCS. The Congressional District 5 Assembly will be held onMarch 31st at the DoubleTree World Arena. Lastly, State Assembly will be held on April 14th, at the Coors Event Center in Boulder, Colorado. Thank you for all you do to grow freedom and contribute to grassroots efforts in El Paso County. Here's a list of the county precinct locations. If you know your precinct click here to find your Tuesday evening March 6th location here. Listed are the dates for Caucus & Precinct Leader Training in El Paso County. Please note that a few of the dates have limited space available and require an RSVP. The classes should take no more than 90 minutes, and we highly encourage all precinct & division leaders to attend, along with any Republican that is interested in learning about the Caucus process. We are offering 20 classes, and hope are you able to attend at least one of them! For questions, comments, or to RSVP please email our Training Chairman, Miles Dahlby at: TrainingChairman@gopelpaso.com. The Assembly will be held on March 29th starting at 7:00am at the University of Colorado at Colorado Springs (UCCS). 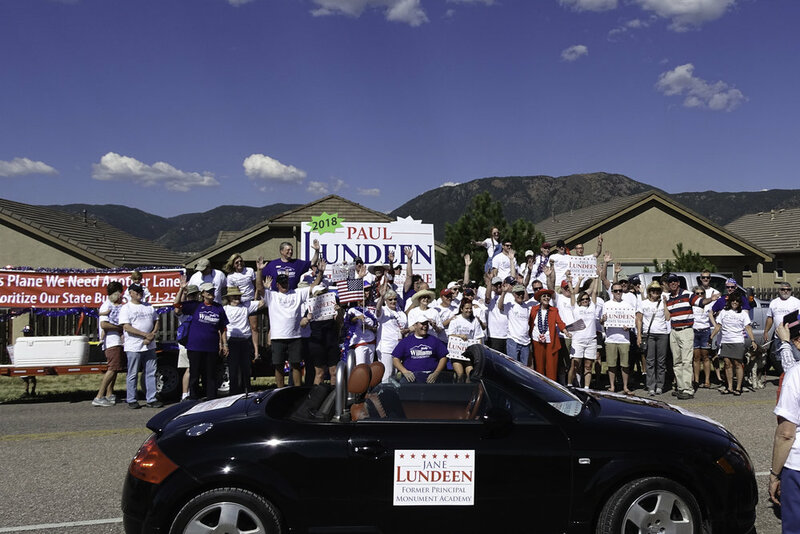 In honor of Paul Lundeen, Candidate for House District 19, join us for refreshments at a location near you! Paul is interested in your thoughts about the important issues we face in Colorado. Come out to share your ideas and hear Paul's vision for a smaller government and freer people. join us for refreshments at a location near you!